The Yadkin-Pee Dee Water Management Group (YPDWMG) was developed through a collaborative effort by a workgroup of 18 Governmental, public water utility and reservoir operator parties providing service within the Yadkin-Pee Dee Basin. The discussions began in 2015 and progressed to a point where a formal organization was formed in 2016. YPDWMG provides a structure for regional collaboration that can coordinate activities and explore mutually beneficial ways to protect and develop our water supply – and save money and time. Regional collaboration by our water supply managers is a one step towards our goal – enhance the welfare of Yadkin-Pee Dee residents by jointly planning for the sustainable use of water from the Yadkin-Pee Dee River Basin. The Yadkin-Pee Dee Water Management Group works together to plan for the water supply of the Yadkin-Pee Dee River Basin. The group has a goal of defining the basin’s role in a long-term sustainable and secure regional water supply for the Yadkin-Pee Dee region, and by operating under the principles of regional collaboration, sustainable water supply, environmental stewardship, mutual and collective benefit, shared responsibility, equal representation, and financial stability. View the Executed Memorandum of Understanding Supporting a Regional Management Group for Water Supply Planning In The Yadkin-Pee Dee River Basin. Pictured above: Mike Hughes, VP Local Government and Community Relations and Cari Boyce, Senior VP of Stakeholder Strategy, Sustainability and President of the Duke Energy Foundation along with YPDWMG members Bill Brewer and Ron Sink at the Award Luncheon. 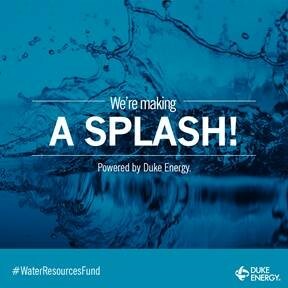 We received a $100,000 grant from the Duke Energy Water Resources Fund to support our Long-Range Water Supply Master Plan. This grant will allow YPDWMG to continue its commitment to protecting and enhancing regional waterways and the environment. The funds from this grant will be used to develop a Long-Range Water Supply Master Plan that includes: 1) Master Plan visioning/planning framework, 2) basin-wide long-range water demand projections, 3) Yadkin-Pee Dee hydrologic model update, and 4) Master Plan Development. The Yadkin-Pee Dee Water Management Group's (YPDWMG) mission is to enhance the welfare of Yadkin- Pee Dee River basin residents by jointly planning for sustainable use of water. To read more about this exciting news, click here.